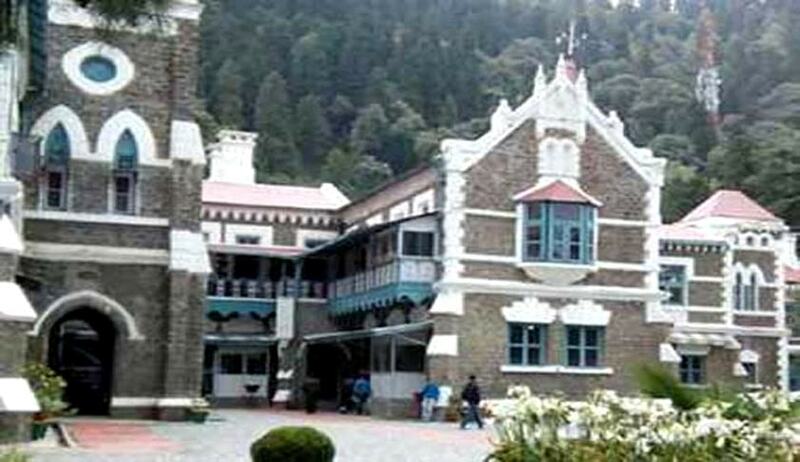 Uttarakhand High Court has rejected an affidavit filed by the state government in relation to a writ petition filed by me on behalf of Social Development Foundation, Delhi in 2013, related to issue of the Land Ceiling Laws in the state. In the last hearing the Chief Justice of the High Court Justice K M Joseph and Justice V K Bisht had specifically asked the government to respond to their questions in great details that included issue of land allotment under section 25 as well as that under section 27 related to the settlement of the land declared ceiling surplus. That apart the court had asked for detailed report of total amount of land declared ceiling surplus in the state as well as how has it been settled. There was a specific query related to number of landless people in the state particularly Scheduled Tribe. In the past there was another order on the same petition where the honorable High court had asked both the data of landless people in the state belonging to Scheduled Castes and Scheduled Tribes. This question rose because of the state’s open acceptance that not a single piece of land was distributed to Scheduled Tribes since the creation of the state in November 2000. The sad part was that the government advocate was unable to respond it properly and went on to suggest that there was not a single person from scheduled tribe category who happen to be landless which annoyed the judges very much and they broadened the scope of the petition and asked the government to furnish the data related to entire state. In the last hearing in November 2017, the state government failed to submit its reply compelling the court to warn the officer in this regard to furnish the detailed affidavit by December 12th or be present in the court in person. The government actually was in action and asked all the district magistrates to furnish the details. They created volumes of paper work without any analysis or even translation of important document. There were glaring mistakes in the data itself which shocked the court. They felt that the said officer was trying to waste the precious time of the court as well as was wasting the paper. We dont need this voluminous report but authentic and serious response to our questions raised in our order in September 2017. Both the judges were deeply disturbed. In fact, in the last hearing itself they had said that they would initiate contempt proceeding against the official but some how the government advocate was able to convince the court that he would get the thing done but this time the casual way the report was submitted without properly analysis and information disturbed the court. Most importantly, there was no mention about the Scheduled Tribe people who were eligible but never got land. There were no details of how long the cases have been pending in the court and what efforts have been made by the government to expedite them. There was glaring mistakes in the calculations which the chief justice actually mentioned in his order. The government failed to provide figures of landless SC-ST people in the state. One very important question was land given to industries or individual under section 25 for which the court had asked the specific terms and conditions but the affidavit remained silent on it. We know the Land Ceiling issue in the Tarai region of Uttarkhand is very relevant and has never been addressed. It become political as the parties jumps into it and politicise the issue. The Dalits and Adivasis in the Tarai of Uttar Pradesh have never got justice as threatening land mafia settled from other states have uprooted the native people of the region. Government and officials have not been serious on the issue and therefore play with data and avoid speaking on the issue. For the past one decade we fought on various laws and when was this as the governments wanted to claim that they can settle land as per their choice while we maintained that the supremacy of Section 27 and sub section 198 which ask for land to settled as per the priority list which give top priority to victims of natural calamities, widows of martyrs, SC ST landless agricultural workers, other landless workers and so on and forth. But government and officials have not followed this. Now when the Court has opened up the issue and in a way examining the land policy of the government, we hope, it is a bright chance for not only government but social movements too come up and carry this battle forward. It is in the best interest of the state and its people that the government come with a positive mind and ask the officials to respond to the questions raised by the Court and implement the law in the greater interest of the people. Yesterday, the court has rejected the affidavit filed by the state government and asked it to come with better arguments and honest report. It has also asked a senior official to be present in the court to explain them various things which they might ask during the next hearing scheduled for February next year. It is important for all of us that government will have to respond to Court’s questions which they have asked in this petition and might ask during the hearing. For us, it is a continuous wait to fight the battle till the end. It is the faith in the constitution drafted by Dr Baba Saheb Ambedkar. Yes, despite its shortcomings, it is the only sacred document that has stood with us and given us hope. When the political class fails, we only go to the courts though we know well that the path is not that easy and comfortable hence the fight must go on at all level till the goal is achieved.